For Christmas I asked for chocolate. I like really good chocolate. Not your Hershey’s sour milk chocolate (although I will not turn that down mind you) but well-crafted dark chocolate. My stocking was full of the stuff and I got some other bars and treats aside from that. I have a stash that will last me a while. If I am careful. A bunch of years ago I had surgery and I had to lie on the couch for a couple weeks. I watched a lot of movies during that time. My beautiful spouse, always one to make my life better, got me a couple of dark chocolate bars. Maybe it was because I was in slow mode, maybe it was because I was in a mood to appreciate things more than usual, or maybe it was the drugs I was on, but those chocolate bars satisfied in a big way. And I wanted more. These days I try to have a bit of chocolate on hand at all times. When I want a sweet treat I can break off a bit and find some satisfaction. It keeps me from eating too much ice cream, if you know what I’m saying. At the moment I have a supply to last me well into the winter. I hope. That hazelnut bar went down, let me tell you. And those Lake Champlain Chocolates are pretty much to die for, if you’ll allow me the expression. If I have to get surgery any time soon, I will be set for a few days, but pacing myself could be a challenge. I hear global warming might mean chocolate shortages. Plus other factors such as witch’s broom fungus mean less cocoa production. And then there’s the new strain of cocoa that tastes like crap. 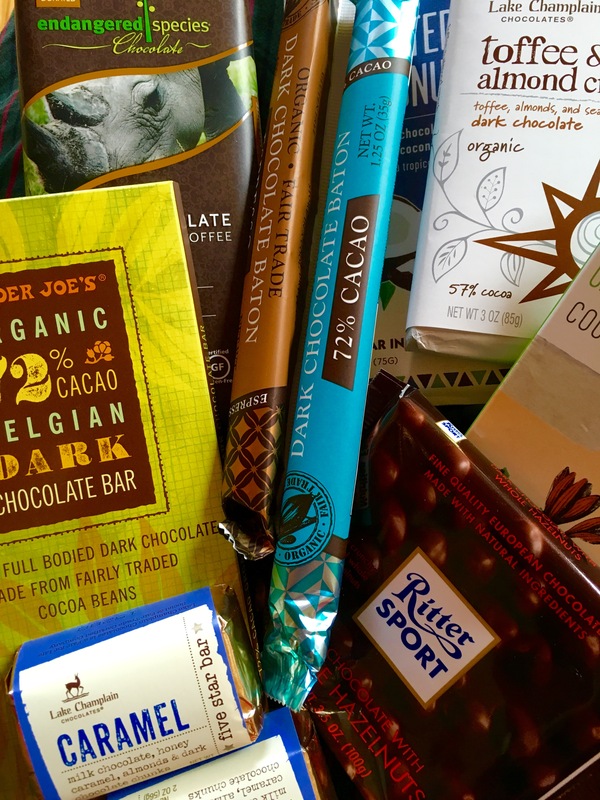 So the days of accessible and affordable delicious chocolate could be waning. I hope that is not the case. And demand often means problems get solved because prices go up. Worst case scenario would be too much to bear. At the moment, however, I am going to enjoy what I’ve got. The stuff is just so damn good. This entry was posted in food, holiday and tagged chocolate, Christmas, cocoa, surgery. Bookmark the permalink.